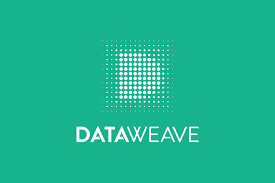 DataWeave, a company that provides competitive intelligence to brands and retailers, today announced international expansion with client wins in North America and South East Asia. Within one year of commencing operations in the Seattle office in the US, DataWeave has won several clients, which includes Retailers and Brands. The office’s primary focus areas are business development and customer advocacy for North American customers. North America is a more mature market compared to Asian markets. Krish Thyagarajan, President& COO at DataWeave, currently leads the team in Seattle, overseeing North American expansion as well as Global Sales and Marketing. DataWeave’s range of products deliver real-time actionable insights to retailers and brands. The Retail Intelligence platform provides Pricing and Assortment Intelligence, thereby facilitating data driven decision making through competitive pricing, assortments and promotions. The Brand Analytics platform helps brands in Price Monitoring, provides Seller Analytics and helps to understand momentum of products across brands. DataWeave Expands its International Footprint 0 out of 5 based on 0 ratings. 0 user reviews.